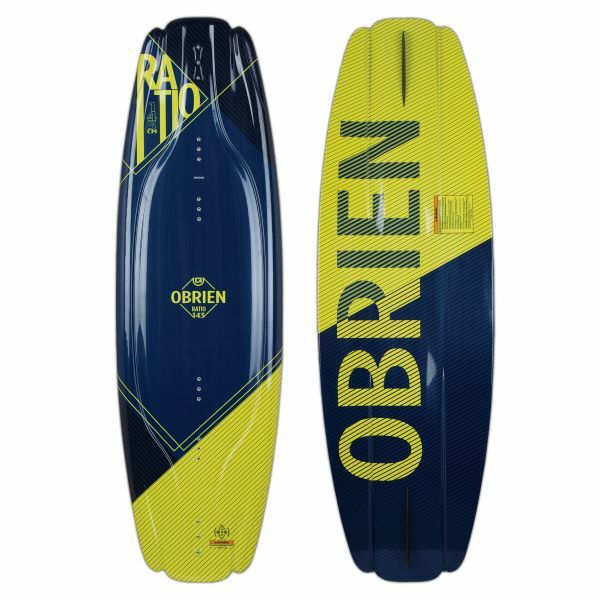 New for 2019, the O’Brien Ratio has everything a pro rider needs, but is truly ideal for beginner to intermediate riders looking for a predictable 3-stage board with explosive pop off the wake. Designed with 4 molded fins as well as tracking channels, the Ratio provides a smooth ride with plenty of hold on the water. The variable beveled edge keeps the midsection of the board catch-free and tapers towards the tip and tail for added bite when edging. This easy to ride board is perfect for building fundamentals, improving confidence, and enhancing progression. Kapcsolódó linkek "Ratio 143 cm"
Vásárlói értékelés "Ratio 143 cm"